Halloween is just around the corner and along with it, Mickey’s Not-So-Scary Halloween Party. 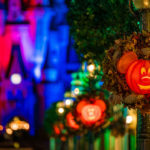 The festive annual event offered at Magic Kingdom is a fan favorite that may serve up the occasional trick, but always promises plenty of treats. 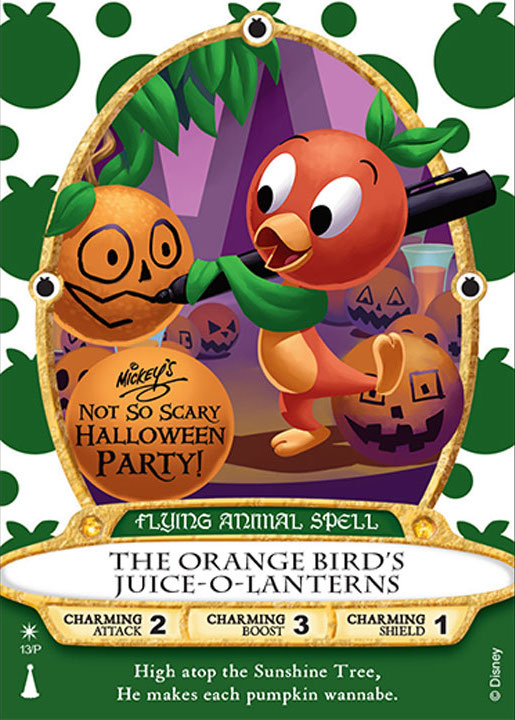 One of this year’s treats is a Sorcerers of the Magic Kingdom game card inspired by Orange Bird! 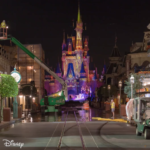 Earlier this week, the Disney Parks Blog announced a new Sorcerers of the Magic Kingdom spell card will debut at Mickey’s Not-So-Scary Halloween Party. 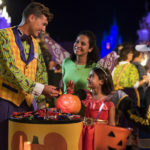 During this year’s Halloween celebration at Magic Kingdom, guests attending the Halloween Party will be able to pick up an event-exclusive game card featuring Orange Bird. Sorcerers of the Magic Kingdom is an in-park interactive quest that allows guests of all ages to join Merlin’s mission to stop Disney Villains from taking over the park. Guests search for villain hideouts throughout the park, and visit magic portals where they use these spell cards to stop a villain’s plan. The fun begins at the Firehouse on Main Street, U.S.A., where guests can pick up everything they need to play. This special event card will be distributed separately (and in addition to) the regular Sorcerers of the Magic Kingdom card packs guests are given at this location. Guests must register to play with their party ticket and event wristband in order to get the exclusive Orange Bird spell card. On this new “Orange Bird’s Juice-o-Lanterns” spell card, Orange Bird celebrates Halloween in his own, sunny way by creating “Juice-o-Lanterns,” drawing funny faces on the oranges that grow near the Sunshine Tree.